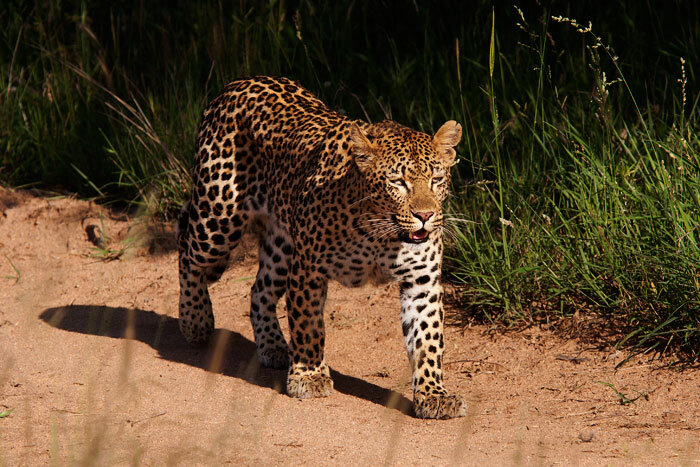 This week was abundant with leopard sightings, as David Dampier mentioned on Wednesday. 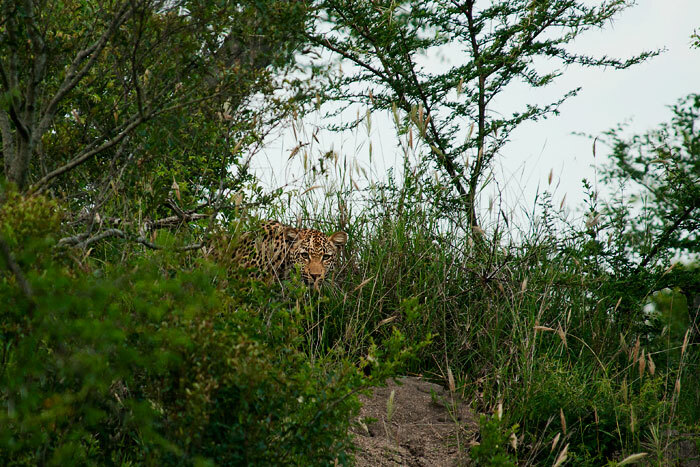 There were many familiar faces, but perhaps what was most interesting for me was seeing some leopards new to the area. 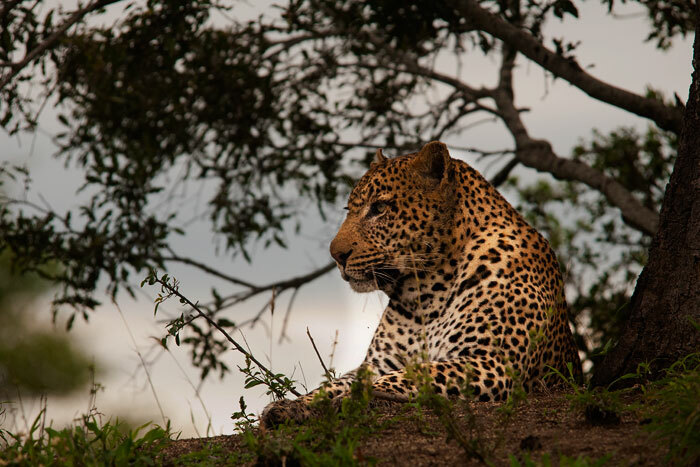 We are so fortunate at Londolozi to view leopards that are very relaxed with the game drive vehicles, and because of that, a common question from guests is whether or not we are ‘bothering’ the animals when following them. My answer is always that they will make it very clear if we are, through either running away, hiding, or, in the case of two females we saw this week, showing more subtle behaviours which indicate they are not so sure of whether we are friend or foe. As guides and trackers, we aim to be sensitive to these signs, and respond to them with full respect for the animals’ stress levels, which usually means leaving them be. This week some of our guests got to experience this firsthand, and, I believe, gained a greater appreciation for the elusiveness of these lovely cats. The week began with an appearance by the Marthly Male. Still arguably the most dominant male in our area, he has been spending much of his time near the river of late, which means that sightings of him are a bit rarer due to the thick riverine vegetation and high water at this time of year. Luckily he posed nicely for us on a termite mound after stalking impala on a cloudy morning. Another visitor this week was a very large 'mustering', or 'phalanx', of White storks, which are not normally common in the area. 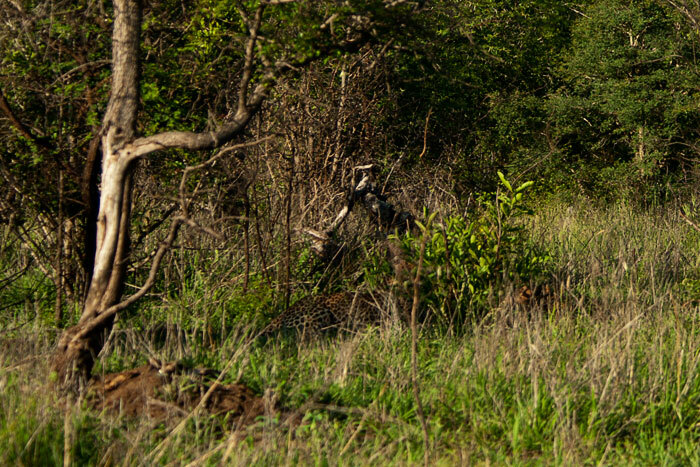 We also came across an unknown and rather shy female leopard in the 'Deep South' of Londolozi. She was relaxed enough to let us view her, but definitely kept a watchful eye on us. 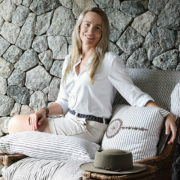 She was laying low in a thicket watching a dazzle of zebra and an implausibility of wildebeest, both with youngsters. Unfortunately they moved off before she could get close enough to hunt. 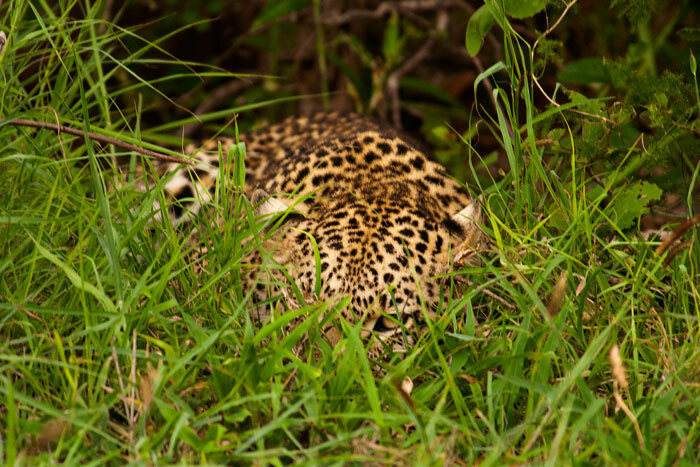 At one point she circled in the small thicket which hid her amidst the open plains, all the while you could see a hint of nervousness in her eyes. A kudu bull stands tall atop a termite mound. Even though we view these beautiful animals fairly often, I have always struggled to get decent photos of them due to their rather shy nature. More common to see sitting in the roads at night, this Nightjar was a fantastic daytime spot by Robert Hlatswayo, with whom I worked for a few days this week. Completely blending into his perch on a stump, a close look reveals its very large eyes, perfect for viewing its insect prey at night. 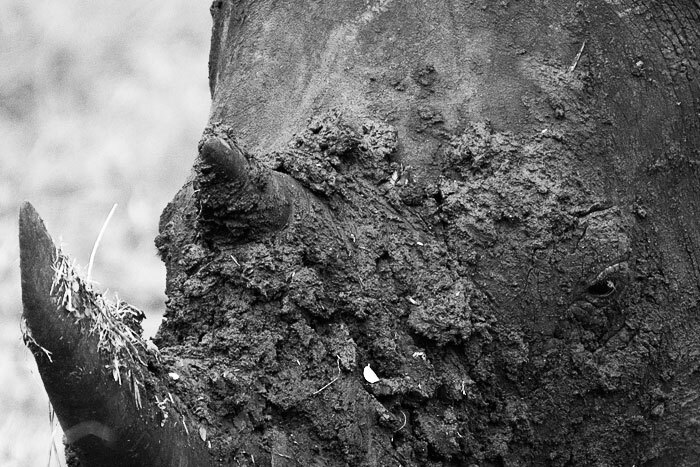 A White rhino bull after a mud wallow. He had been showing off for some nearby females, and marking his territory, rather aggressively digging his horn in the mud. He was definitely in a territorial mood, and just after this photo was taken, even trotted towards our vehicle in a gesture of, in no uncertain terms: 'You are in my space and need to leave now!' We obeyed. After James Tyrell's post yesterday, these two Sparta cubs seem old! They are growing fast, and were an absolute treat to watch as they played in the mud. The pride had been feasting on a wildebeest kill, and while the females were far too full and tired to move, the little ones had some energy to burn. One of the Majingalane Males was also present at this sighting, and it was interesting to note that they played with him quite happily. 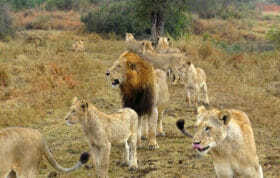 They are the fathers, but given the recent Tsalala Pride tragedy, it seems that anything is possible with these males. 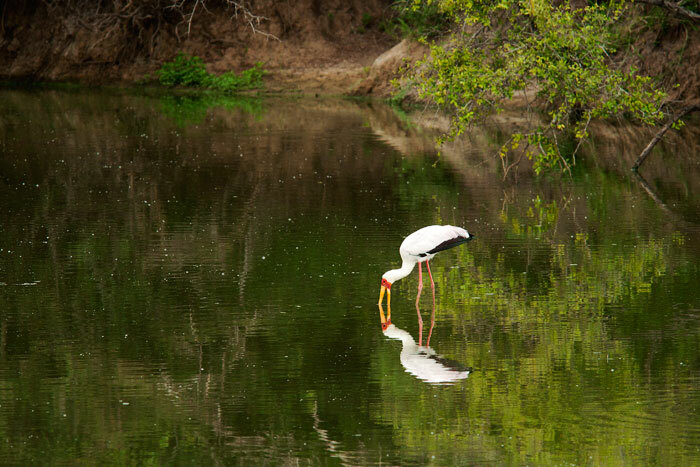 A Yellow-billed stork fishes at Taylor's Dam. I think wildebeest calves are becoming some of my favourite animals! They are simply adorable, and definitely don't fit the classification of being in the 'Ugly 5'! 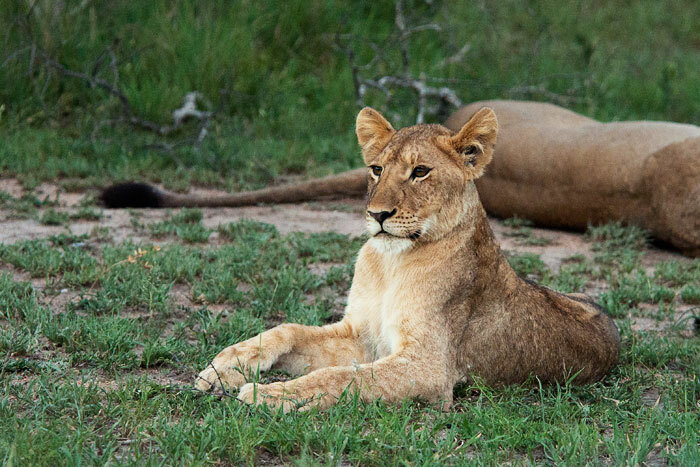 It has been a joy over the past few weeks to watch the Londolozi population grow immensely. They seem to play more than many other young antelope, and can often be seen lying together in nursery groups. Quite often, as seen here, wildebeest intermingle with groups of impala: the more eyes and ears the better when it comes to predator detection. 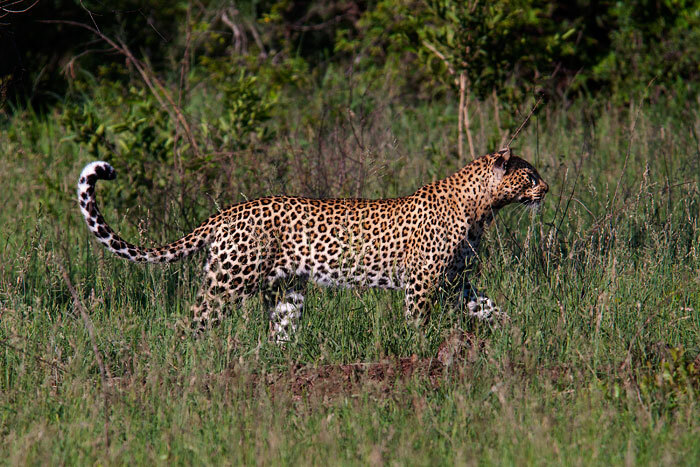 Another unfamiliar leopard, this time on Marthly. This female was very skittsh, less relaxed than the one we had seen in the south. We still managed to view her, but at a distance. She curiously looked at us from atop this termite mound. Since that day she has been spotted quite a few times in the same area. Personally, I believe the fact she has remained in the area is a good indication she may eventually become more used to seeing the vehicles. 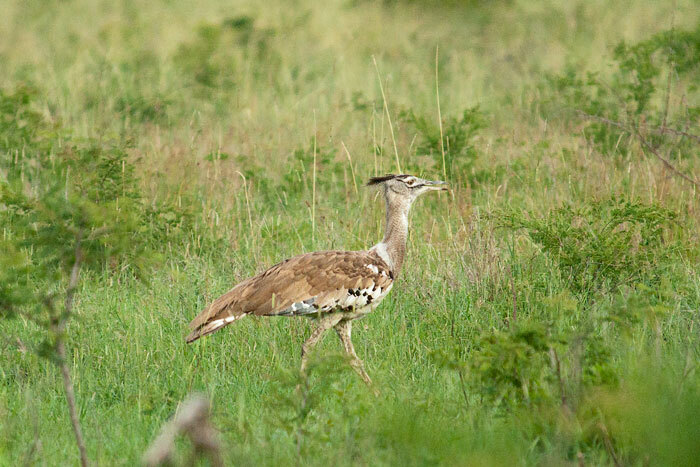 An extremely rare bird for the area, the Kori bustard, was seen this week at Londolozi. It holds the esteemed title of being the heaviest flying bird on earth. 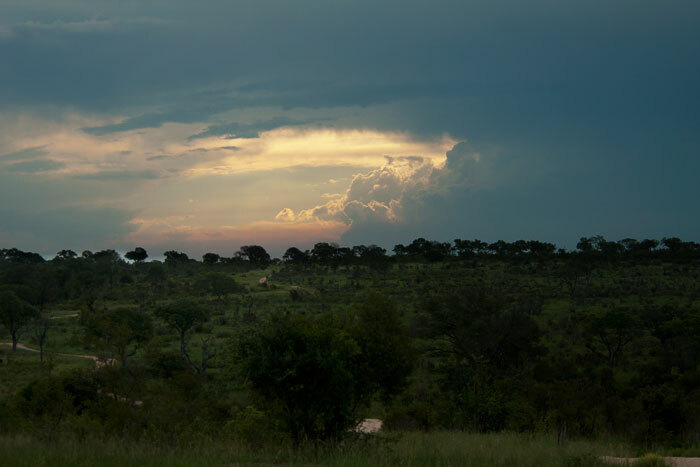 Quite often in the bush it's not the wildlife that takes your breath away but the dramatic landscapes, particularly at this time of year when the weather is unpredictable. 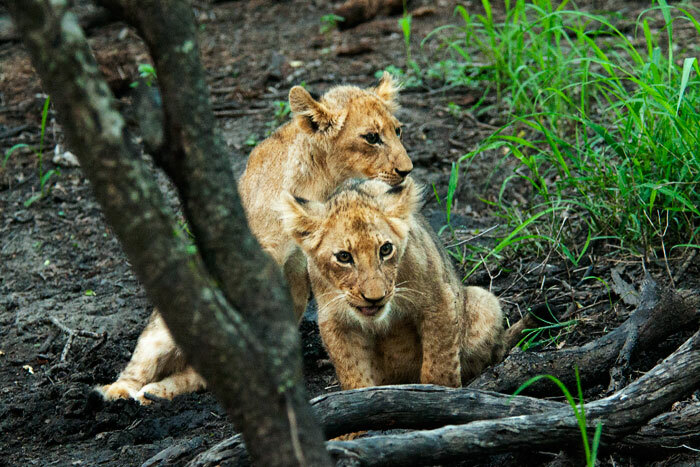 The 'older' Tsalala cubs are really maturing. They are paying careful attention when their mother hunts, and, as they approach their first birthday, are looking less like cubs! 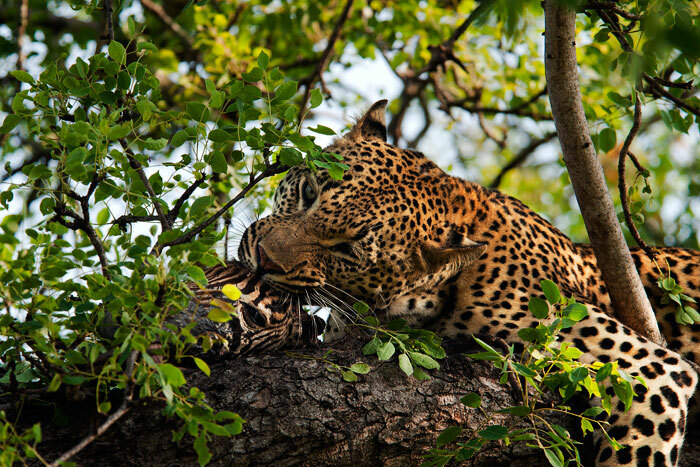 The Maxabene 3:2 Young Male feeds on a zebra foal. 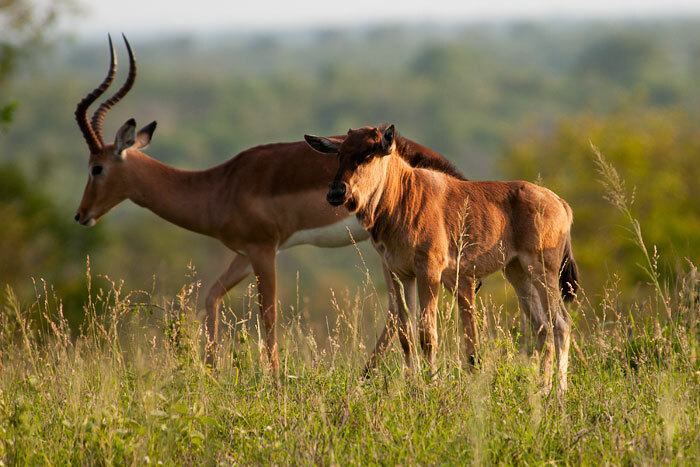 Perhaps taking after his father, the Camp Pan Male, who loves to hunt prey 'bigger' than your average impala, he managed to kill a young foal and hoist it into a nearby marula tree, where he fed on it for about 2 days. He spent much of this time lying on the ground beneath, resting between feeds, but we were lucky enough to come have a look while he was active. 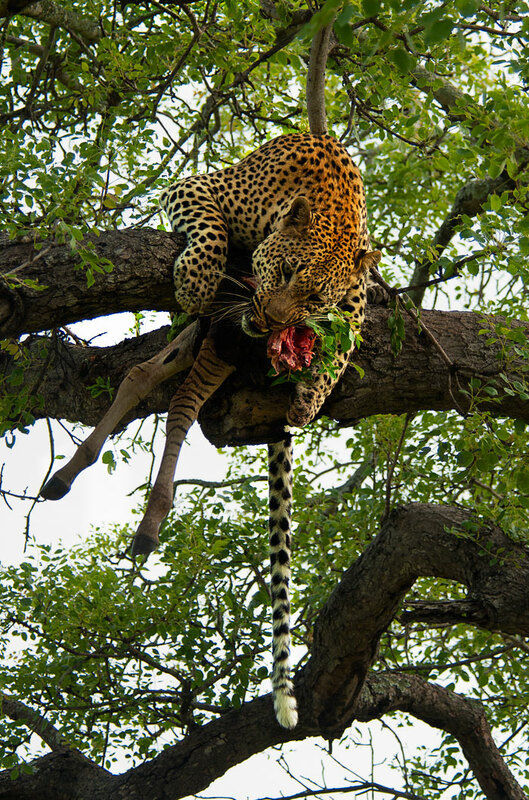 As they feed on a carcass, leopards have to continually shift it to anchor properly, so it doesn't fall down. Here there was only the forelegs and neck left, and he eventually stopped bothering trying to keep it in the tree. 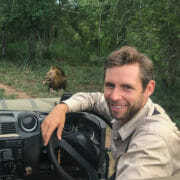 Apparently he felt the threat from hyenas was minimal, so he brought it down himself and fed on the ground. 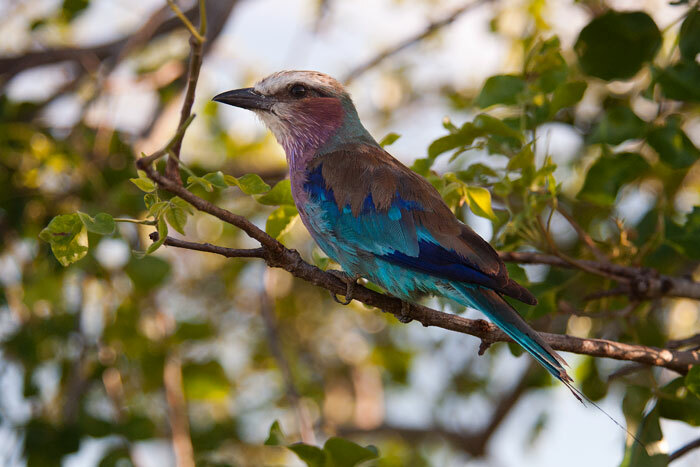 A Lilac-breasted roller shows us his stunning colours. 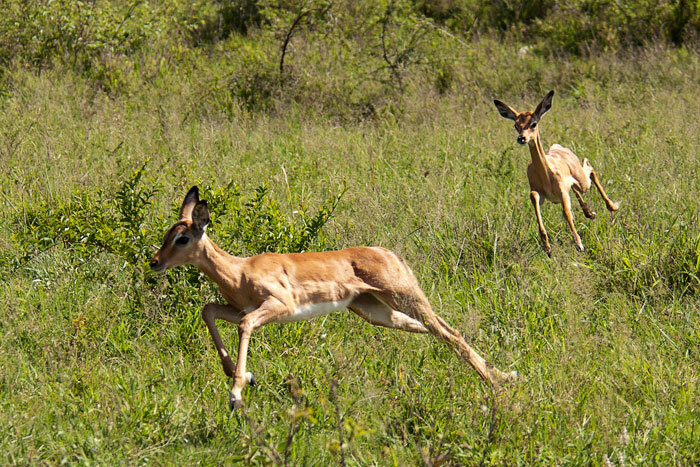 Two impala lambs run back to the herd, realizing they've strayed too far! 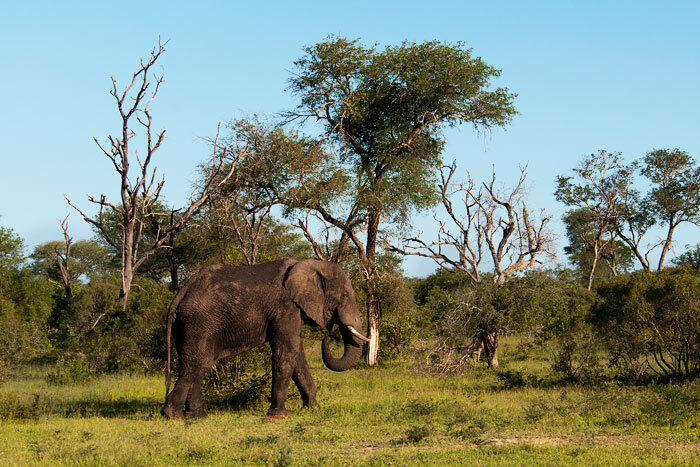 A big bull elephant picks up some small shrubs, while bypassing the effects of years of elephant impact through feeding: the tree skeletons that have been ringbarked, as well as a living knobthorn tree that has also been partially ringbarked. Even though the trees have died, however, they provide essential homes for many different bird, reptile, mammal and insect species. 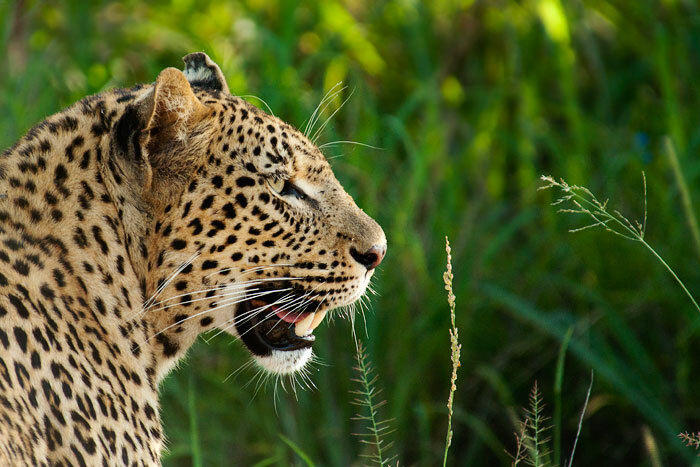 I've included this photo as the start to a series of shots taken of a great leopard sighting. 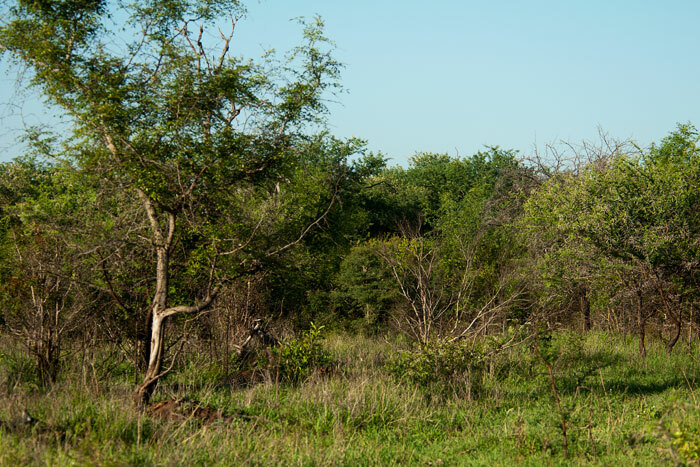 One blog reader asked recently how the leopard's spots help to camouflage them... Can you spot the leopard in this photo? When zoomed in, you can see that she is lying in the shade to the right of the tree. The spots help the best in dappled light to hide them, blending into the shade. 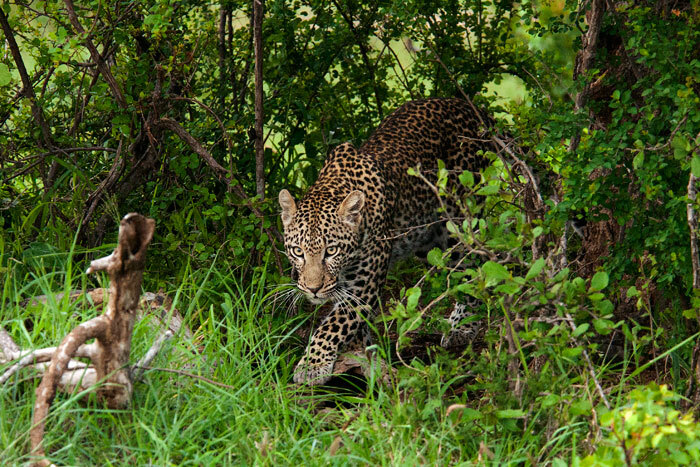 Here, the Vomba Young Female was stalking impala to the right, only about 40 m away. They could not see her, but unfortunately the wind shifted and they smelled her. They came even closer, alarming, but still could not see her as she remained dead still. 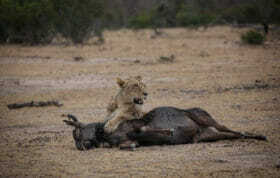 Sometimes if impala don't get a visual confirmation that a leopard is around, they will continue on their way. In this case, however, the lead ewe was just too suspicious and she turned the rest of the group around. The Vomba Young Female took her title as 'opportunist' very seriously that morning. It was already about 35 degrees and while us spectators were boiling and thinking it was not a good time to hunt, she kept pursuing the impala as they moved over the rolling hills. Here she squints her eyes from the already harsh sun. She eventually found a patch of shade to lie in, but not before chasing (and not catching) two very surprised Slender mongooses. I hadn't seen this beautiful female in a while and she is always fantastic to photograph. Talley,your photos are always so beautiful! I can’t get enough of the nightjar photo. Really stunning image Talley. Well done!!! and the kudu bull took my breath away, such a majestic beast and a glorious shot – Bravo Talley … et encore merci !! 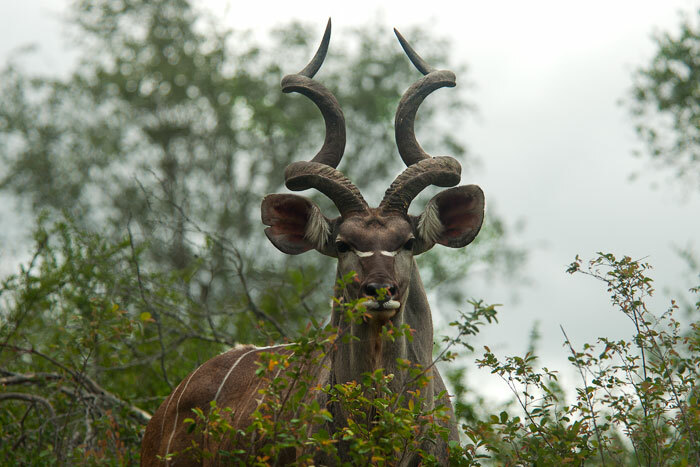 The kudu – my favorite and, like you, getting the “perfect” image has always eluded me. This bull is amazing, as is your shot! And the nightjar photo is sooo special! Kudos to you!! Gorgeous photos Talley. I always enjoy your blogs. I agree with Rich and Sheena! Hard to pick a favorite in that group of photos! Well done Talley! Makes winter in North Eastern US just a bit brighter today! How cool is this keeping up to date every week!! Great job! That nightjar spot is exceptional. How did he spot that?! Again Talley – amazing photos. 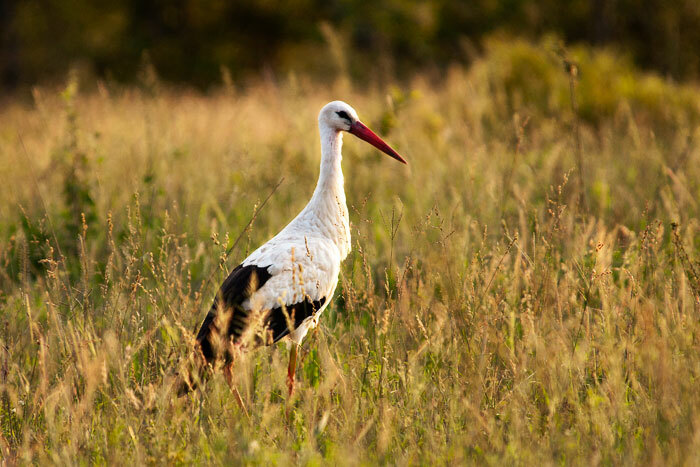 Loved the yellowbilled stork, the nightjar, the white rhino and amazed to see the Kori Bustard sighting. Awsome photos Talley! What lens do you use? As always, great Photos Talley. The spot the leopard game looks strangely familar (I didn’t get it….. again). The nightjar pic was my personal favourite- the “you dirty rat you killed my brother” expression is priceless. Guess it’s pretty bright for those guys during the day!! The new female looks gorgeous. And I am loving the use of these great collective nouns. always a fun thing to learn 🙂 Some wonderful photo’s again. Especially the nightjar. 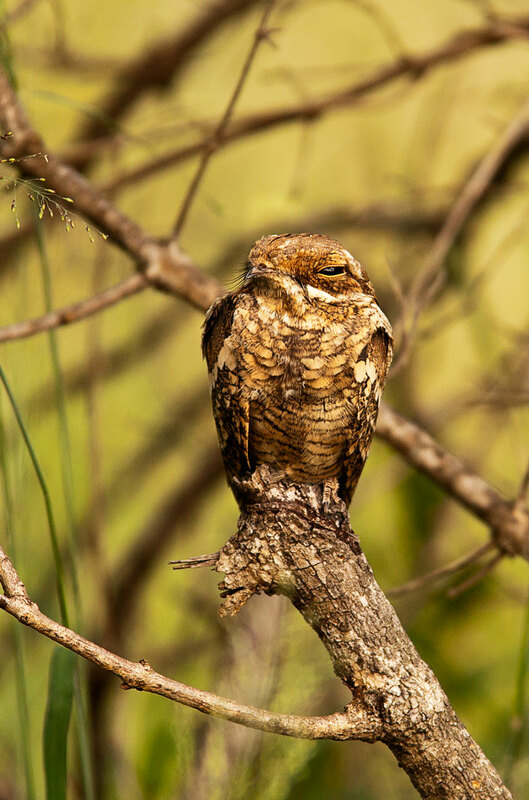 Do you know what nightjar this is? I do believe it is a Fiery Necked Nightjar.